Ainmane will take you back home with their range of Kodagu products like spices, honey, and best of all - coffee - straight from their plantations. Craving some good ol’ Kodava cuisine? Or just reminiscing about your time at the Scotland of India? Ainmane will have you feeling that you’re there in the flesh with their range of Kodava condiments and snacks! Sourcing material and ingredients locally, from small suppliers, they keep things as natural as possible, so you’ll find raw honey, organic coffee and sugar. Based out of Madikeri (duh), they have a small cafe and store at their estate to keep things fresh. Of course, if you can’t make it all the way there, they have an online store and small distribution center in Bangalore. 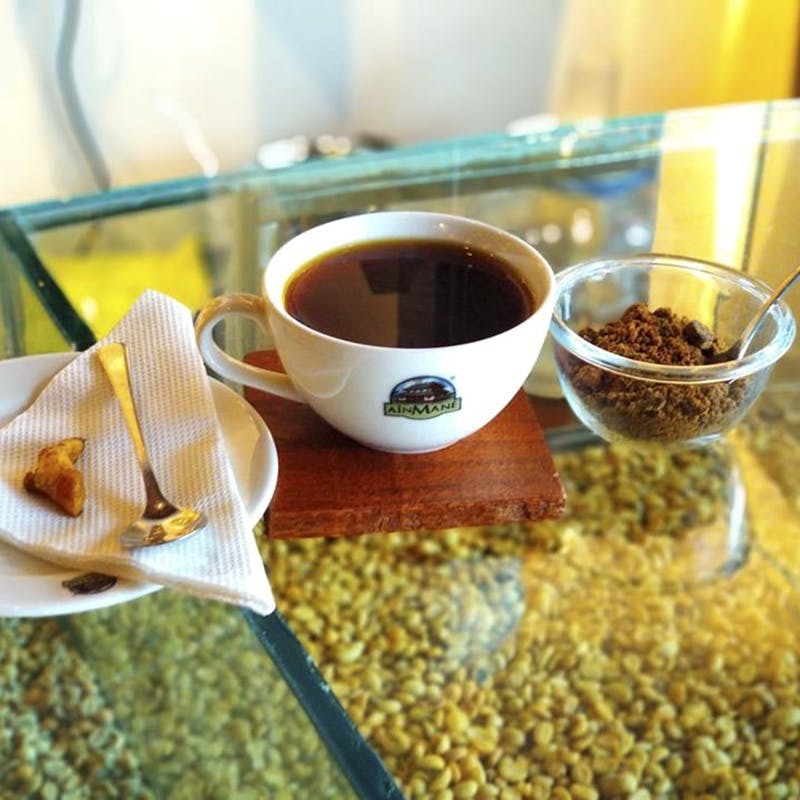 Their biggest range of products come straight from the plantation like coffee(s) in different blends, and even the famed Civet coffee for INR 900. Also find their premium range of chocolates be it milk, or 80% dark, as well as flavoured variants with orange, nuts, or coffee. Solid mocha? Yes please! Seasonal honey, spreads and pickles (they have an orange pickle, or a bamboo shoot variety for experimenters), spices - including a Coorg curry masala - dry and whole, and nuts are also available at reasonable rates, and if you want to recreate a recipe you had or crave, just pick up the Kodava cuisine cookbook for a cool INR 95! They also sell specific accessories like a pepper grinder and coffee maker, as well as gift boxes if you’re looking for thoughtful, useful presents.